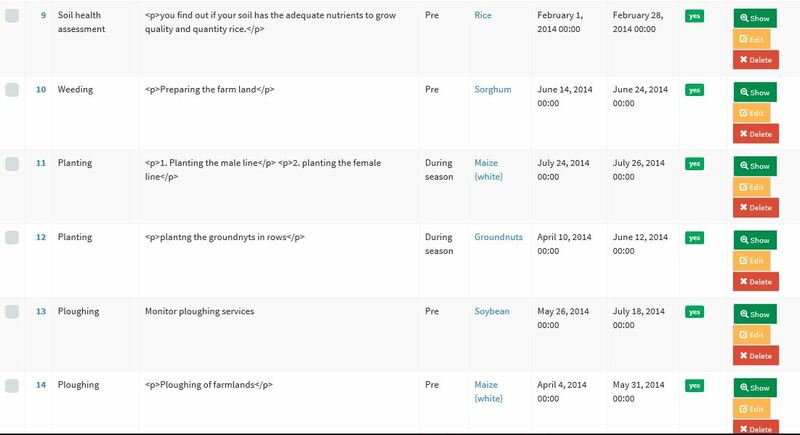 It allows organizations/absentee farmers to monitor extension activities provided by field agent/extension staff. It also allows users to list activities and assign to specific agents. This module is very evidence based. Extension agents cannot escape their duties. Every activity execution is photo and geo evidenced based. Management and Supervisors can actually monitor the performance of the various extension agents, measure their consistency with performance. Etc.